Hoyt S. Pardee is co-founder and Chairman of Weyerhaeuser Mortgage Company. He is also Chairman of Weyerhaeuser Venture Company and Weyerhaeuser Insurance Services. Hoyt was a recipient of the UCLA Alumni Association's Professional Achievement Award in 1978. 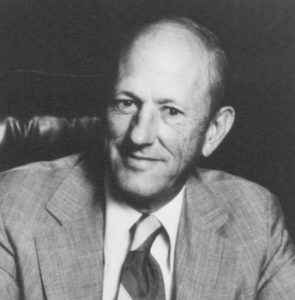 He remains active at UCLA as a member of the Board of Trustees of the UCLA Foundation; the UCLA Chancellor Associates; the Dean's Council of the Graduate School of management; the Sportsmen of the South; and has established the Hoyt S. Pardee Fund with the UCLA Foundation. His community and charitable activities include associations with the Boy Scouts; American Humanics; Scripps Institute and the Los Angeles Music Center. Among his donations is the Jackie Robinson Baseball Stadium, an important addition to the UCLA sports facilities.